Mikhael Kalashnikov died on Monday at the age of ninety-four. For FPS fans, the name probably sounds familiar. Kashnikov invented the AL-47, the most widely used assault rifle of all time, and we would be remiss if his passing went unnoticed by the games industry. 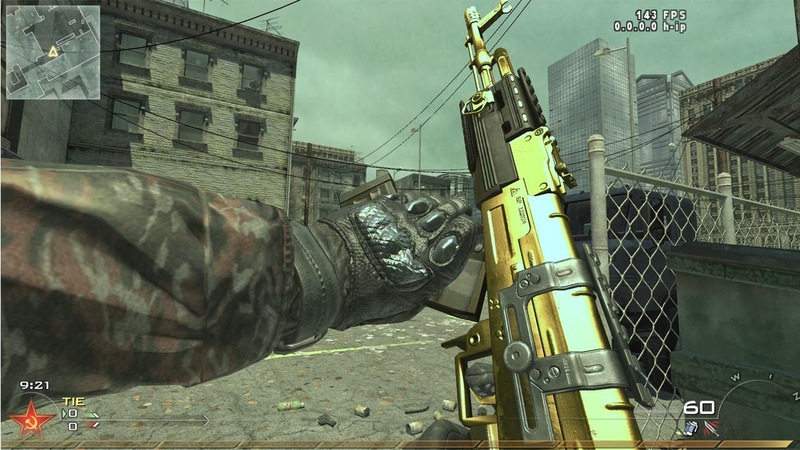 You have seen this weapon in almost every shooter you've played. While its efficacy changes from game to game, some characteristics remain generally consistent. The AK-47 tends to unload a clip of 39mm rounds incredibly quickly. The AK-47's incredible stopping power still makes it a perfectly suitable primary weapon in even modern day shooters. While its accuracy leaves something to be desired, its power in short and mid-range often makes up for its faults. The gun is so common in games precisely because it is so common on the world stage. The weapon achieved some renown because it cheap to make, easy to use, and surprisingly durable. The weapon didn't jam or overheat as often as its competitors either, which made is a remarkably reliable weapon as well. Produced by the Soviet Union, the AK-47 traveled across the world, fueling Cold War conflicts and falling into the hands of some of the world's more seedy elements. The AK-47 outlived the Soviet Union and its popularity and accessibility remained as strong as ever. The weapon became much used among rebels and warlords alike. In video games, it is often the weapon we first encounter when facing whatever villainous terrorist organization the creators invent or borrow, and rightly so. The AK-47, and subsequent models, are plentiful the world over. Shipment of the weapons, from various nations, find their way into the hands of hateful organizations, pirates, freedom fighters, and farmers. In some ways, the AK-47 is a "third-world weapon", it is no wonder it appears so frequently in the hands of our video game enemies. Perhaps unsurprisingly, Kalashnikov became a sort of hero in his time. He climbed the ranks quickly because of his invention, and his imprint on Russian history in particular was strong enough for the creation of a museum in his name. naturally, he also knew the mixed feelings people might have towards the inventor of so destructive a weapon, even if it was just one of many. Kalashnikov called it "a weapon of defense" not a "weapon of offense," perhaps to undo the negative connotations associated with his invention. The difference, of course, is moot. All weapons are weapons of offense. I don't know if I have a particular message here other than an oft repeated one that maybe we all know. In games we treat weapons as toys, but the real world footprint of these things are immense. The creator of the AK-47 died this week. It does us well to remember our in-game objects often have real world origins.